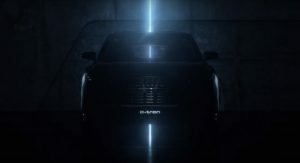 The Geneva Motor Show kicks off next week and Audi is gearing up for the event by releasing a new teaser for the Q4 e-tron concept. 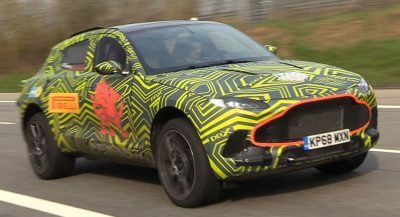 Designed to preview an upcoming production model, the concept is an electric crossover which is slated to feature an aggressive design. Unfortunately, the latest teaser video doesn’t reveal much. 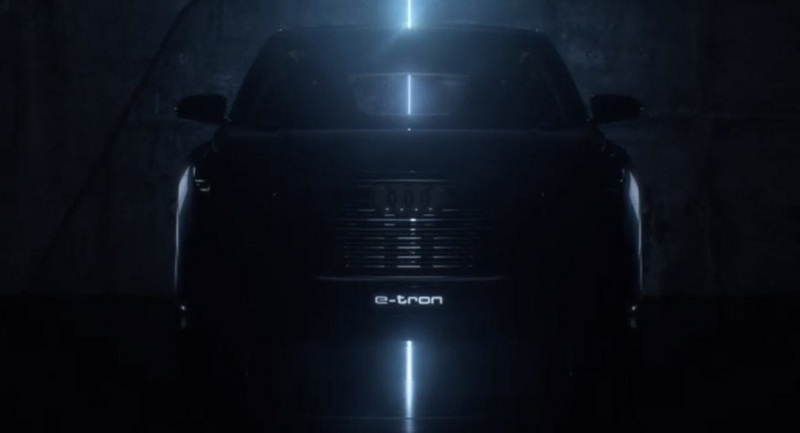 That being said, the Q4 e-tron has a large Singleframe grille that resides above prominent e-tron badging. 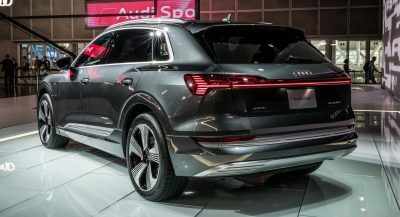 It’s also interesting to note the concept uses traditional side mirrors instead of video camera mirrors like the 2019 e-tron (in some markets, at least). 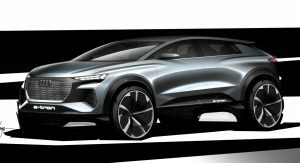 The clip only shows the front of the crossover, but previous sketches have suggested the concept will have a rakish windscreen and a ‘floating’ roof. We can also expect plastic body cladding, a thick rear pillar and heavily stylized bodywork. 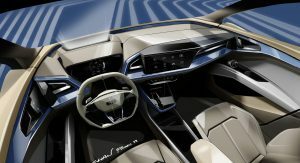 The interior follows Audi’s latest design philosophy and features a distinctive dashboard with angular shapes and driver-focused controls. The model also has a digital instrument cluster, a touchscreen infotainment system and blue trim. 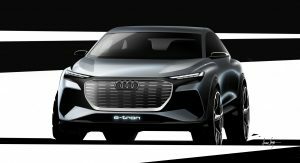 Audi didn’t have much to say about the concept, but reconfirmed the production model will arrive in “late 2020 / early 2021.” That isn’t much to go on, but previous reports have indicated the crossover will ride on the MEB platform that will also underpin the 2020 Volkswagen ID Neo. 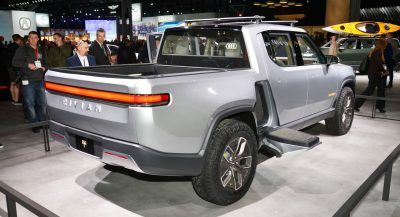 Designed specifically for electric vehicles, the architecture supports rear- and all-wheel drive applications and uses a modular battery pack. 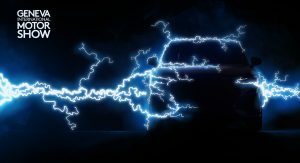 The latter allows for ranges of between 200 miles (321 km) and 340+ miles (547 km) on a single charge. 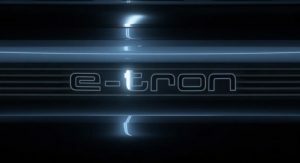 There’s no word on specifications for the Q4 e-tron, but the decision to base the model on the MEB platform should make it significantly more affordable than the 2019 e-tron which starts at nearly $75,000. I’m digging the overall design of the cockpit… the cutaway of two volumes for the instrument panel and steering wheel is super dynamic.